Staring unflinchingly into the abyss of slavery, this spellbinding novel transforms history into a story as powerful as Exodus and as intimate as a lullaby. Sethe, its protagonist, was born a slave and escaped to Ohio, but eighteen years later she is still not free. She has too many memories of Sweet Home, the beautiful farm where so many hideous things happened. And Sethe's new home is haunted by the ghost of her baby, who died nameless and whose tombstone is engraved with a single word: Beloved. 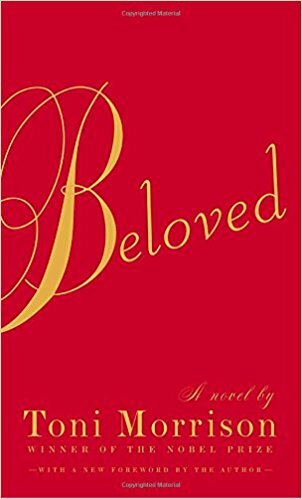 Filled with bitter poetry and suspense as taut as a rope, Beloved is a towering achievement by Nobel Prize laureate Toni Morrison. TONI MORRISON (born, February 18, 1931) is an American novelist, editor, teacher, and Professor Emeritus at Princeton University. 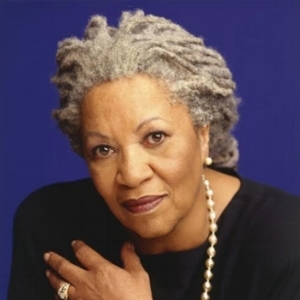 Morrison won thePulitzer Prize and the American Book Award in 1988 for Beloved. The novel was adapted into a film of the same name(starring Oprah Winfrey and Danny Glover) in 1998. Morrison was awarded the Nobel Prize in Literature in 1993. In 1996, the National Endowment for the Humanities selected her for the Jefferson Lecture, the U.S. federal government's highest honor for achievement in the humanities. She was honored with the 1996 National Book Foundation's Medal of Distinguished Contribution to American Letters. In May 2012, President Barack Obama presented Morrison with the Presidential Medal of Freedom. In 2016 she received the PEN/Saul Bellow Award for Achievement in American Fiction. Morrison is a graduate of Howard University and Cornell University respectively.